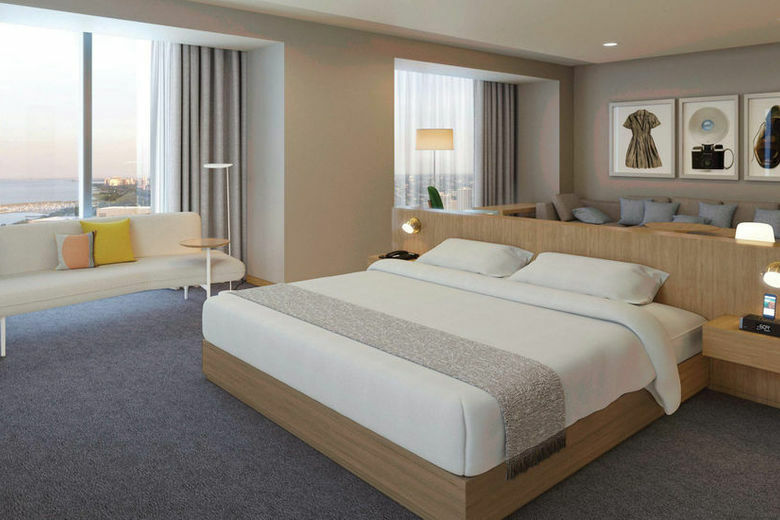 Big, tall, powerful and gleaming – the 40-floor, 1,205-room Marquis will be Chicago’s sixth-largest hotel when it opens on Sunday. 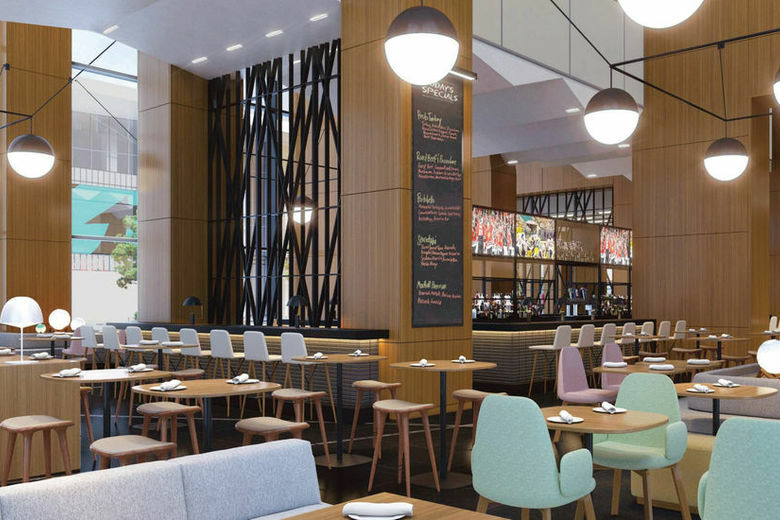 After nearly two years of construction, Marquis embraces, perhaps even flaunts, its scope: Spaces are broad, the lobby ceiling reaches 30 feet, the restaurant serving three meals a day seats 400, and natural light floods in through floor-to-ceiling windows. 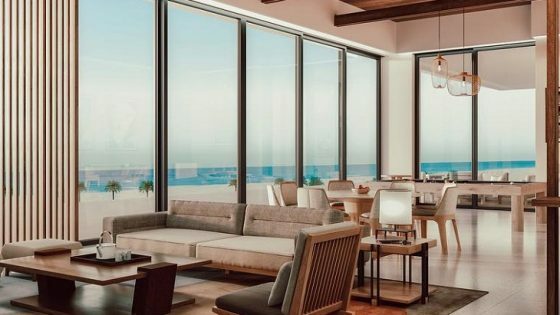 In the era of boutique and lifestyle hotels, Marriott Marquis is sprawling and powerfully urban — albeit with the occasional boutique amenity, such as the ability to order room service on your phone and the art commissioned by 40 Chicago artists. Many of the pieces have QR codes for more information about the art and the artist. 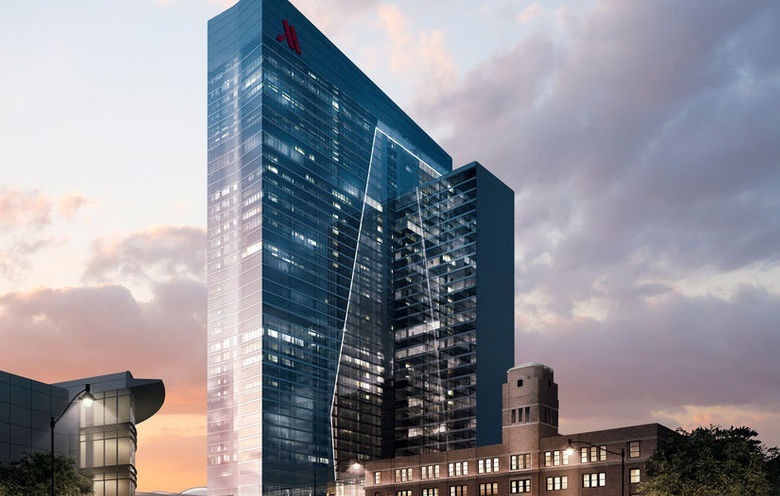 The Chicago property marks Marriott’s seventh Marquis hotel in its portfolio. Each is located in a major city and has 1,000 or more guest rooms and at least 90,000 square feet of event space. 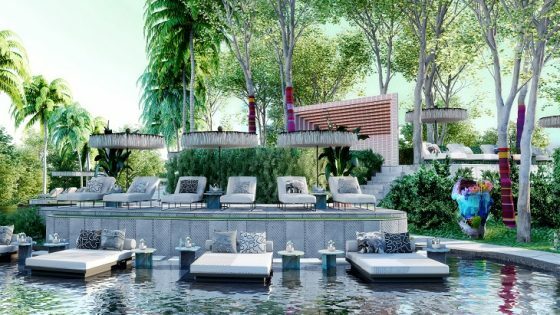 It is the largest new hotel in the Marriott chain to open this year anywhere on the planet.